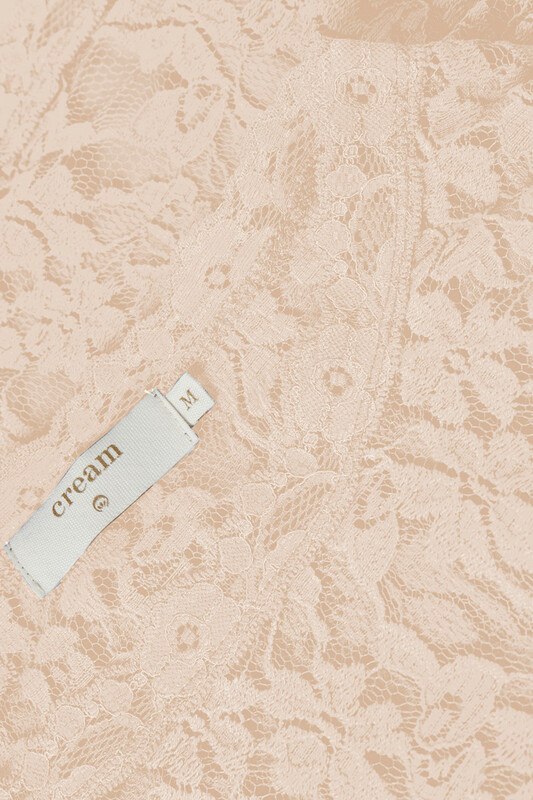 Cute and pleasant lace blouse from Cream. 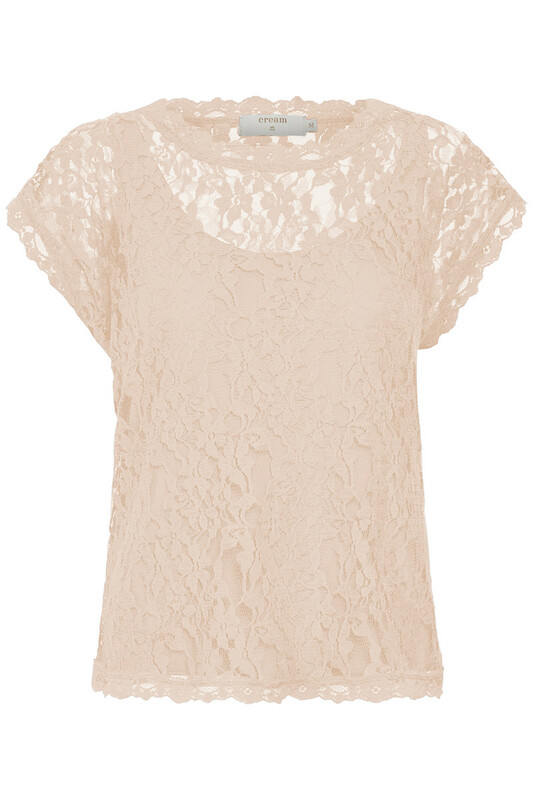 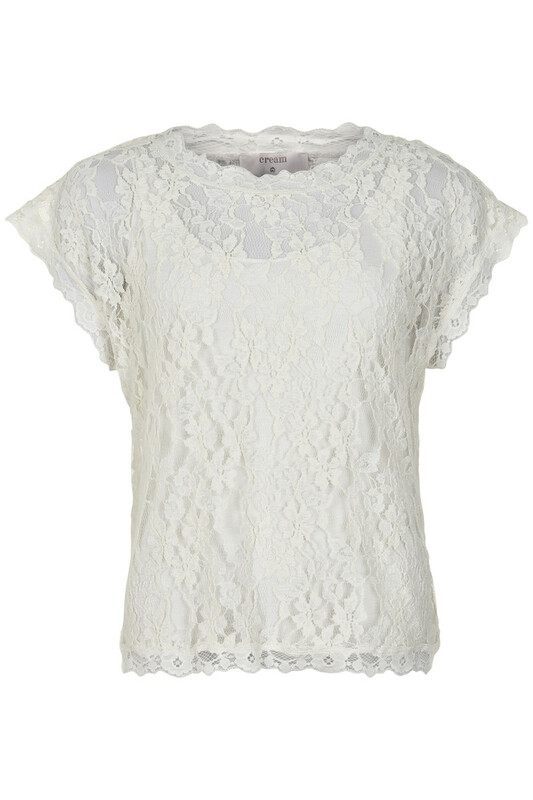 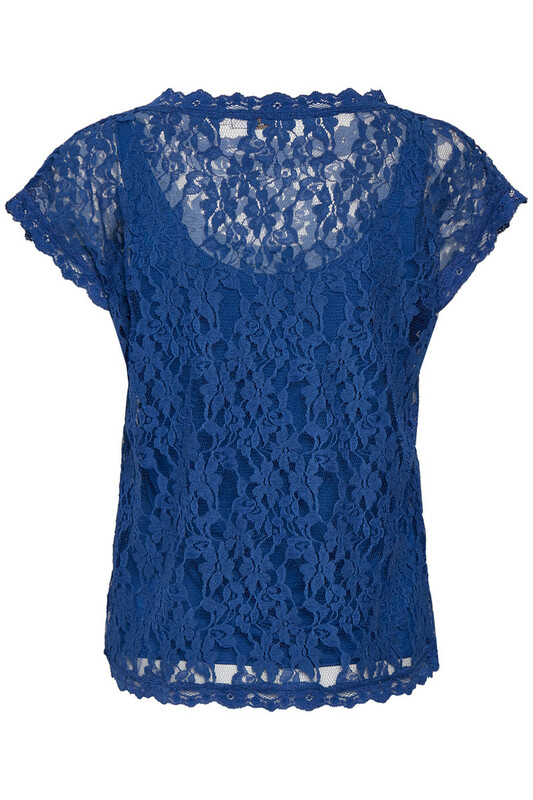 The blouse has this beautiful lace layer as well as a simple top underneath, short sleeves and a round neckline. 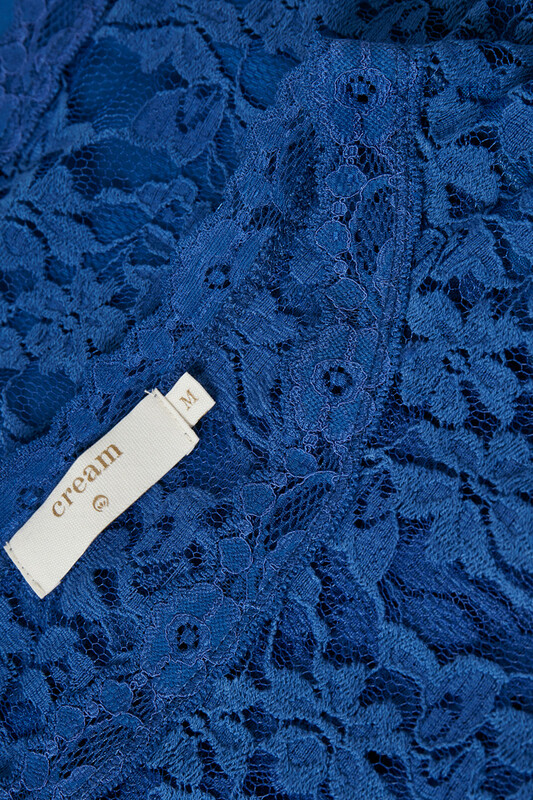 The quality is comfortable to wear. 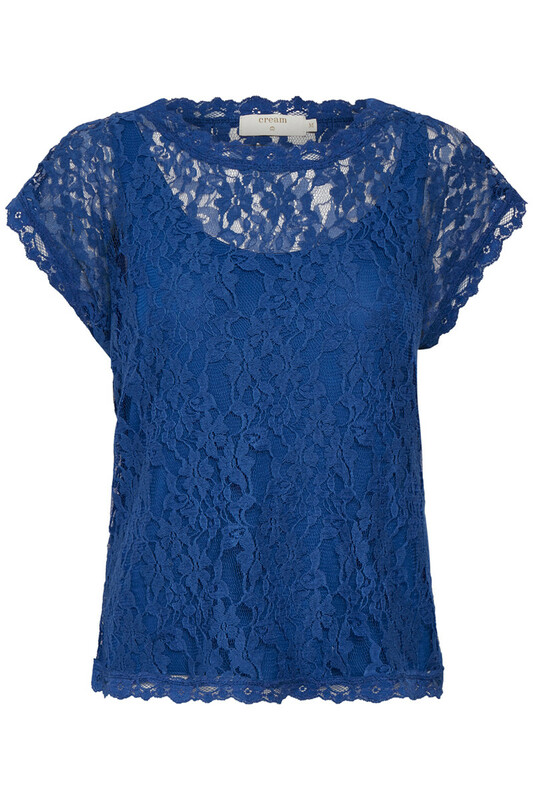 The blouse has a regular fit, but with this outer lace part in a slightly more loose-fit, creating a cool and stylish effect. 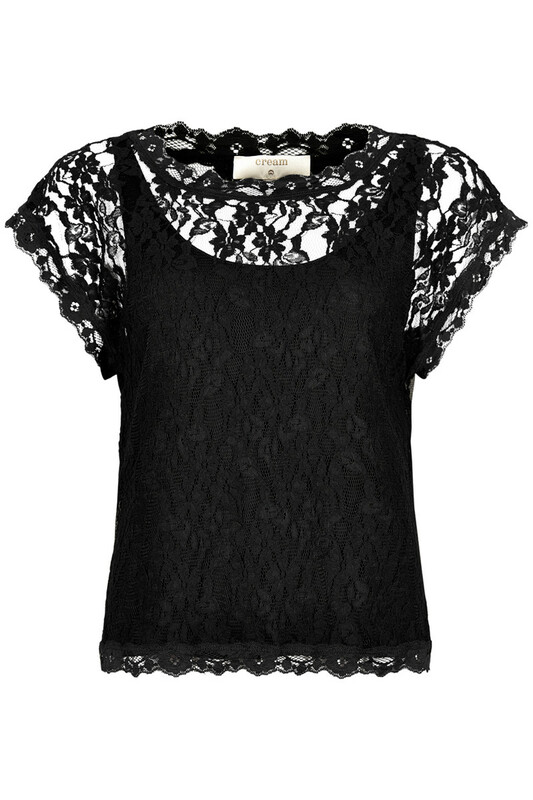 Certainly, a lace blouse which is perfect for all occasions and really nice together with both shorts, pants and skirts.